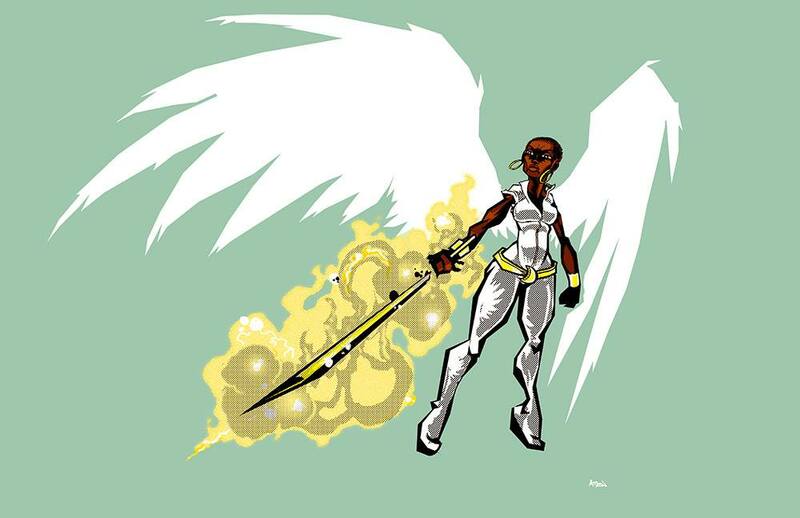 POWERS/ABILITIES: Flight, super strength, telepathy, can become invulnerable and intangible. Wields a flaming sword which can cut through any known substance. This character was inspired partially by Ultimate Thor. I liked the way the character was originally written by Mark Millar in the first two volumes of The Ultimates, where it was left open as to whether or not he actually was the Norse God Thor, as he claimed to be, or if he was just some kind of mutant or advanced human, with delusions of grandeur. Thus her origins are deliberately vague. She claims to be a honest-to-GOD Guardian Angel from Heaven. And she has the powers to back it up, so few people take the chance to question her too hard about it. That’s how I would want to write this character. She was created specifically to be a part of team book, not a solo character, because of the lack of background. 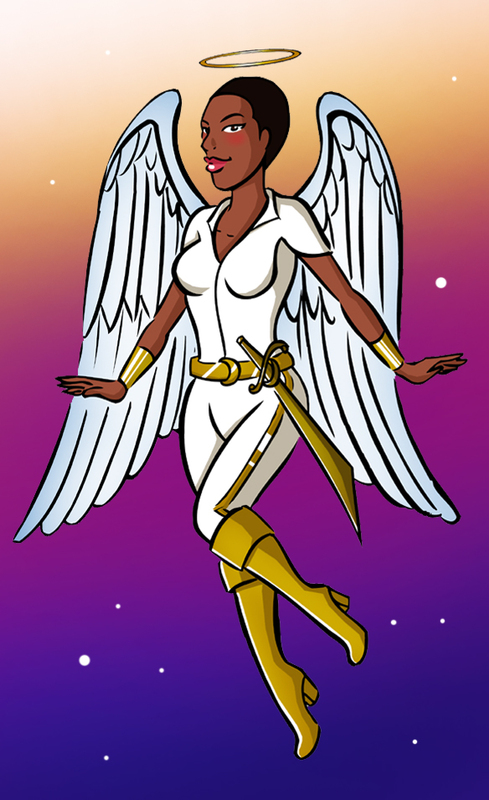 I have two ideas she could be used for, an inter-faith superhero team, where she would be the Christian member of the team, or possibly an all-Black superhero team. Either way, she’d be the mysterious character that the other team members wonder about, and occasionally debate among themselves about what she really is.